Ever wonder how it feels to be weightless underwater? Ever curious to see first hand the beauty of the coral reefs and their exotic marine inhabitants? Tortuga Diver Training serves the scuba training needs of the Los Alamos community and all of Northern New Mexico. Programs are available that encompass introductory experience programs, open water certification, refresher training, advanced courses, specialty training courses, and even professional-level certifications. So whether you are an experienced scuba diver, or someone new to the sport, Tortuga Diver Training can help you realize your scuba diving goals. Tortuga Diver Training’s owner, Jay Elson, has been diving since 1976. As a Silver Course Director with PADI (Professional Association of Diving Instructors), Jay has a great deal of experience in teaching both youth and adults to scuba dive. Classes are both informative and fun. 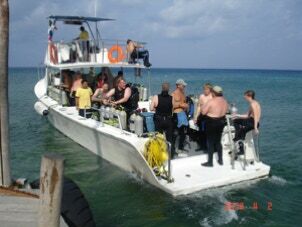 Please contact us today to start or continue your underwater adventure.